What do Elvis Presley, Dean Martin, and Johnny Cash all have in common? They all owned one of the more exclusive cars to hit the U.S. Market in the 70s, the Stutz Blackhawk. 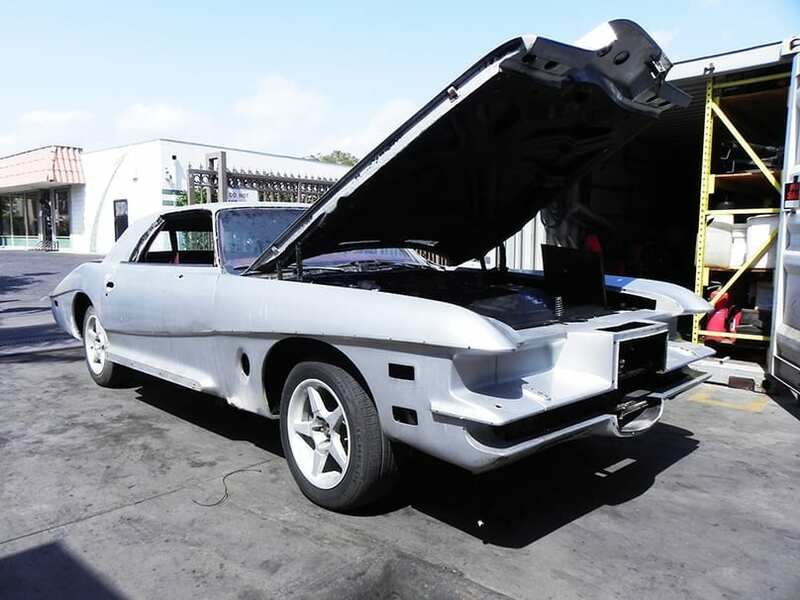 Action Auto has recently acquired one of these rare finds, which we will be taking through a classic car restoration here in our cypress facility. These cars where manufactured by Stutz Motor Car of America from 71’ thru 87’ and represented the epitome of luxury. With a price tag of $22,000 to $75,000 (over $100,000 dollars today) and a limited run of only 600 vehicles, the Stutz Blackhawk became a status symbol for those fortunate enough to afford one. On the debut of the vehicle in the U.S., the very first person to purchase one was “The King” himself, Elvis Presley. He later had the Stutz personalized to also include a mobile telephone, which was no easy feat during the 70s. Other celebrities to also own Stutz Blackhawks included: Dean Martin, Sammy Davis Jr, Johnny cash, Lucille Ball, and Sir Paul McCartney this article. While the Stutz we will be restoring was not owned by any notables that we know of, we are still excited to bring this classic back to its original luster. Looking at our 1975 Stutz Blackhawk, you’ll notice a departure in design from the Stutz Motor Company’s 30s Blackhawk. Some of the vehicles unique elements include the protruding spare tire outside the trunk lid, an overall larger grille design, and the use of freestanding headlamps. An added bonus was the included promotional brochure, interior photographs, and hand drawn gauge reference guide. The interior photographs particularly give a good guide for the restoration process. Our crew jumped right in and started to move forward with the restoration. First to be addressed was the interior seating, paneling, and carpeting, which were carefully removed and stored. The custom molded windows were also removed to eliminate accidental damage. Next we focused on the exterior, specifically the worn-out paint job. Carefully sanding the paint down to the bare metal and ensuring to pay close attention to the vehicle’s lines and details during the process, we can now check off a few of the hundreds of details still needed to get this Stutz road ready. Next areas to be address are the under chassis, suspension system, electrical systems, engine, and exhaust. As the Stutz projects moves forward, we’ll continue to post updates, pics, and restoration tips.